Generation between the wars and in the run-up to World War 2. 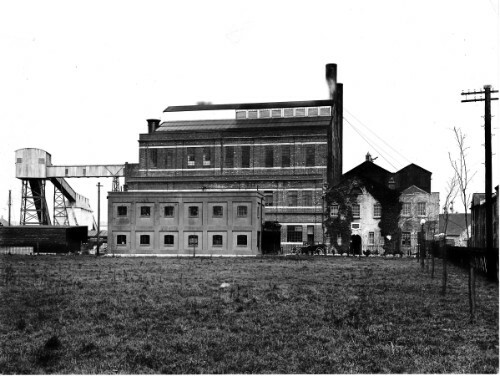 SWEHS 5.2.003.jpg – Date 1921 – Dorchester Street Generating Station, Churchill Bridge. Commenced supply 1890. Bath and North East Somerset, Bath, City . 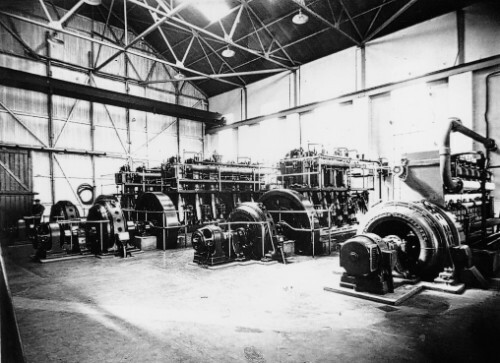 SWEHS 18.2.008.jpg – Date 1925 – BTH 3750kW turbo alternator Devon, Newton Abbot . 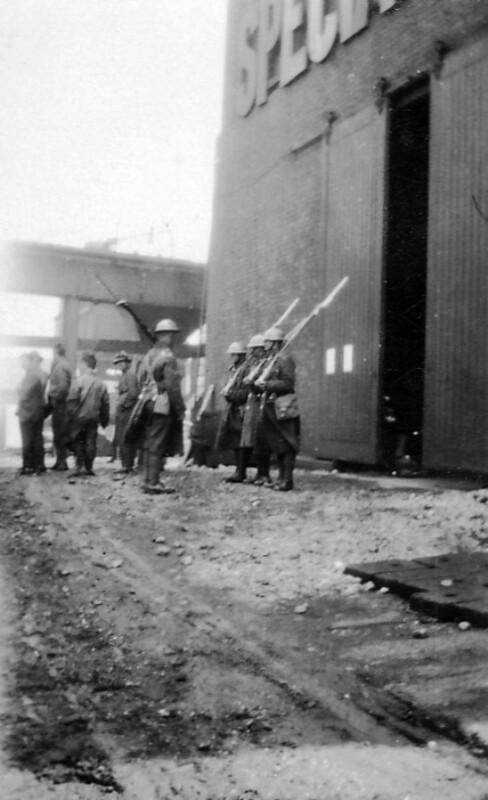 SWEHS 3.4.259.jpg – Date 1926 – Photograph of army personnel taken during general strike at Feeder Road Electricity Works (Generating Station), Feeder Road. Bristol, St. Phillips The generating station was orginally called ‘Avonbank’ but was renamed in 1916 as Feeder Road Electricity Works to avoid confusion with ‘Avonmouth’. 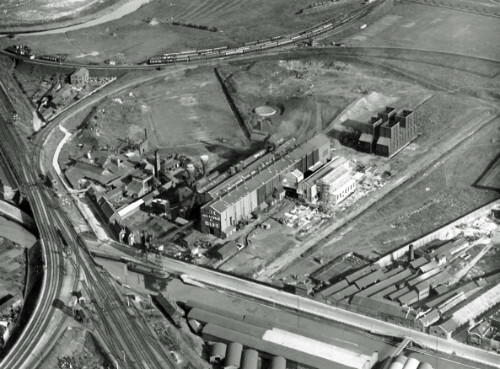 Many rail deliveries had previously been delivered to the wrong address..
SWEHS 3.1.052.jpg – Date 23/051928 – Aerial photograph showing Feeder Road Electricity Works (Generating Station). Bristol, St. Phillips The generating station was orginally called ‘Avonbank’ but was renamed in 1916 as Feeder Road Electricity Works to avoid confusion with ‘Avonmouth’. Many rail deliveries had previously been delivered to the wrong address..
SWEHS 5.2.004.jpg – Date 1928 – Dorchester Street Generating Station, Churchill Bridge. Commenced supply 1890. Bath and North East Somerset, Bath, City . 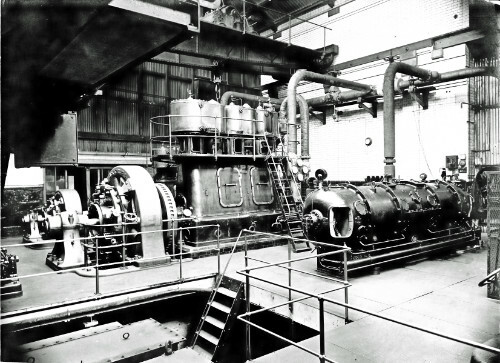 SWEHS 7.1.132.jpg – Date 1928 – Interior of Hayle power station 20th June 1928 with BTH 7.5MW turbo alternator, 25cycle. 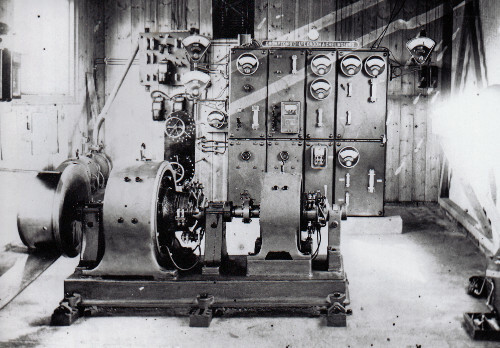 Two Babcock & Wilcox boilers 50,000 lbs/hour, BTH 10kV switchboard. 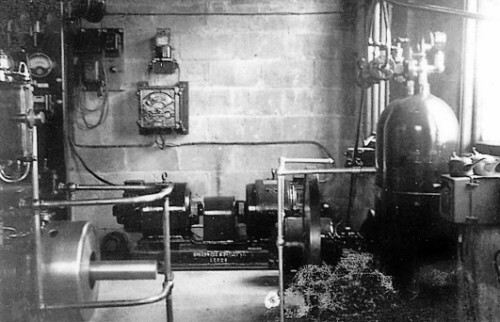 This plant was the first to operate at 250 lbs/ sq. in. Cornwall, Hayle It was orginally coupled to the old 180 lb/sq.in. plant through pressure reducing equipment. Reverse of photo shows names of some of those looking toward camera..
SWEHS 9.0.011.jpg – Date 1929 – Braunton generating station adjacent to Barnstaple to Ilfracombe railway. Commenced supply 1909 and subsequently owned from 1934 by Bideford & District Co. 25kw oil engine, 125kW with 2 x 100hp semi diesel oil engines (1930) driving 2 x 62.5kW dynamos. Devon, Braunton . 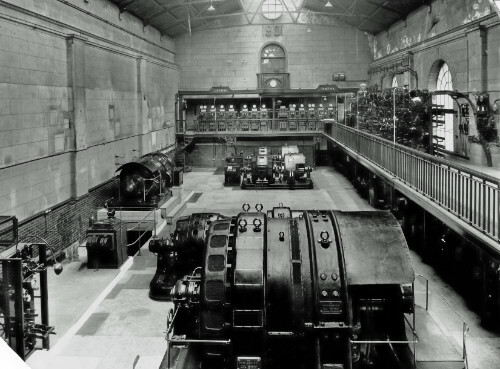 SWEHS 15.0.045.jpg – Date 1929 – Devonport Corporation Electricity Works, Newport Street generating station converted to rotary substation. Devon, Devonport . 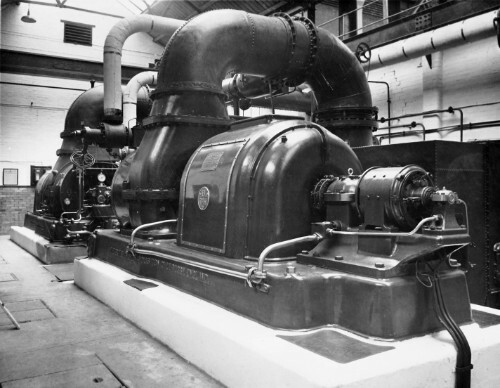 SWEHS 17.0.030.jpg – Date 1930 – St James Street generating station 3.5 MVA 6.6kV turbo alternator (last set still to be installed). Mr A J Howard, Chief Engineer in foreground. Somerset, Taunton . SWEHS 7.0.076.jpg – Date c1931 – Commenced supply in 1927. Original plant 3 x Mirrlees diesels with (s x 200 + 1 x 132)kW alternators. 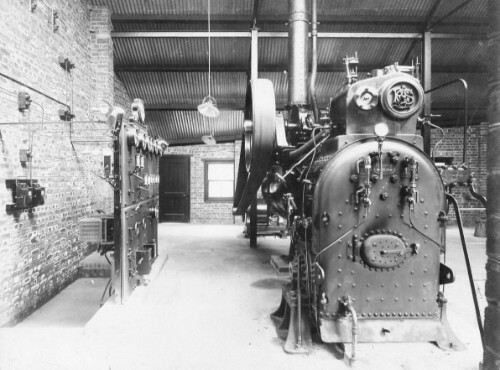 Added 1931 – Crossley diesel with 300kW Crompton alternator. Added 1934 – Newton diesel with 225kW Newton alternator. Final installed capacity 1057kW. Cornwall, St. Blazey Pontsmill Power Station. 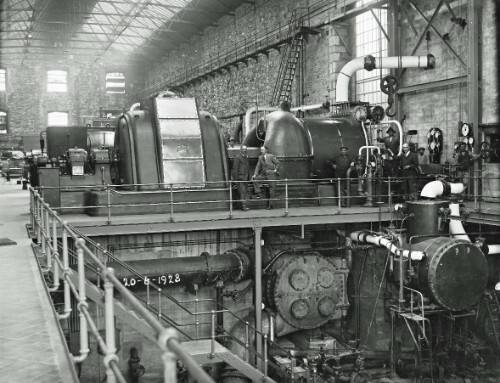 Built by St Austell Company to supply china clay works..
SWEHS 7.1.046.jpg – Date 1933 – Engine room A station Brimsdown, Enfield, London showing one of the turbines later purchased by ECLP for installation at Drinnick power station. London, Enfield . 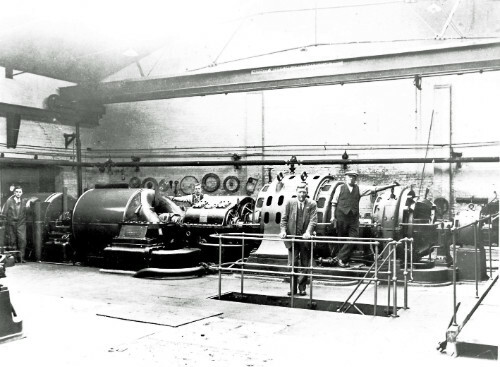 SWEHS 9.0.094.jpg – Date c1930’s – Teignmouth Generating Station Devon, Teignmouth . 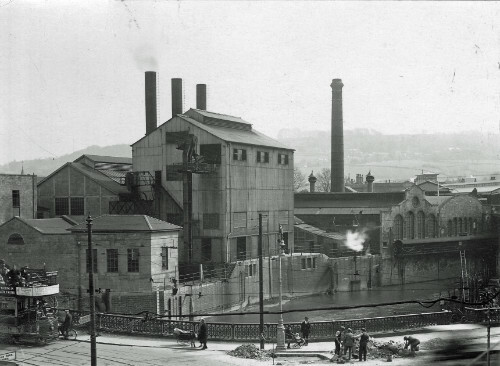 SWEHS 18.2.006.jpg – Date 1935 – Newton Abbot generating station. Devon, Newton Abbot . SWEHS 18.2.030.jpg – Date 1935 – `Newton Abbot generating station outdoor. Devon, Newton Abbot . 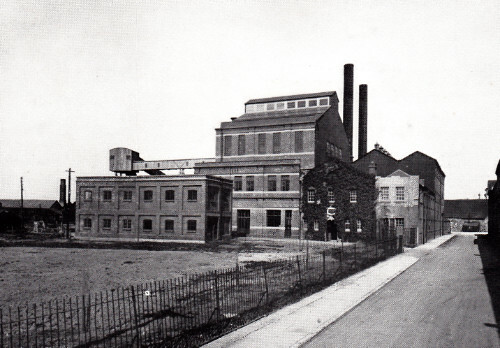 SWEHS 9.0.043.jpg – Date 1936 – Winkleigh generating station of Exe Valley Electricity Co. Ltd.. Generating set. Devon, Winkleigh . 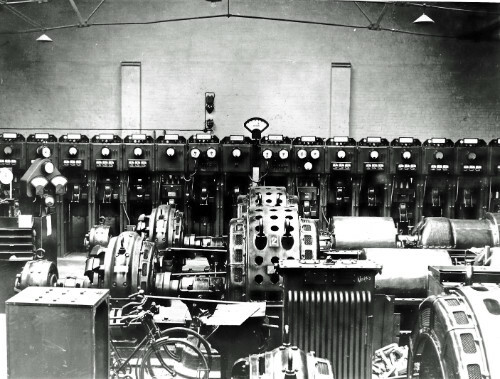 SWEHS 17.0.038.jpg – Date 1936 – St James Street generating station 11kV 150MVA 17 panel made by Crompton with 1, 2, and 3 2.2kV alternators in foreground. 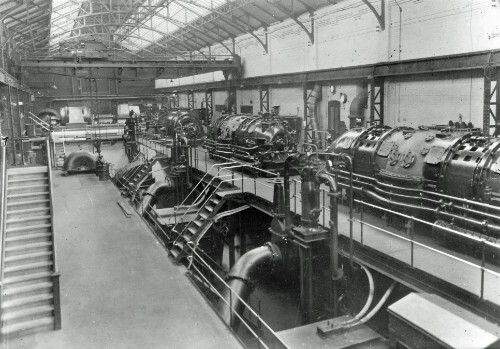 Synchronisation panel on left of photograph. Somerset, Taunton .